An important part of traveling is food. And while we often cook our meals in our overland camping kitchen, we do need to shop for food and do like to go out for a meal every once in a while. With a focus on vegetarian/vegan and healthy meals, we share our impressions of local food in different countries here. For our cooking equipment, take a look here. 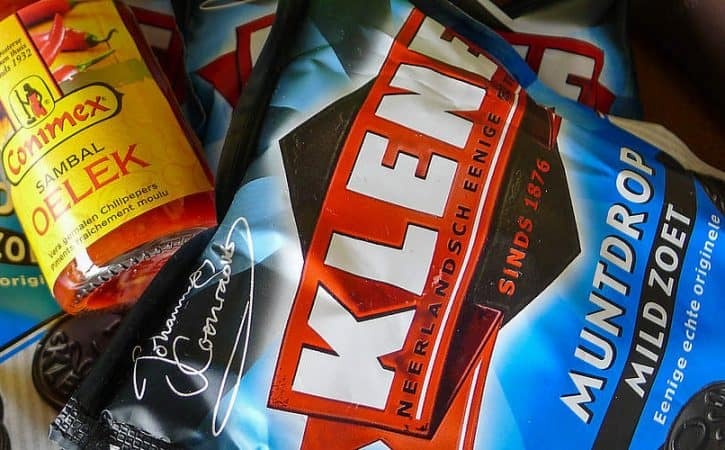 Our annual visit to the Netherlands also means stocking up on stuff we can’t find on the road. Here’s what we bought. 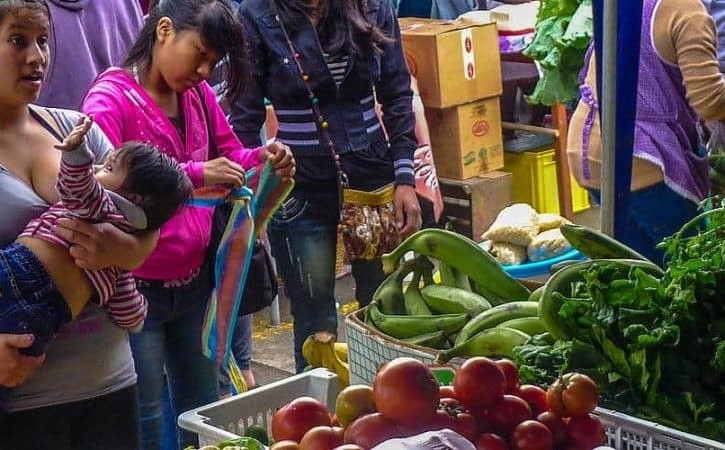 A couple of tips on where to find organic markets and vegetarian restaurants in Ecuador. Peruvian Cuisine – One of the World’s Best Foods? 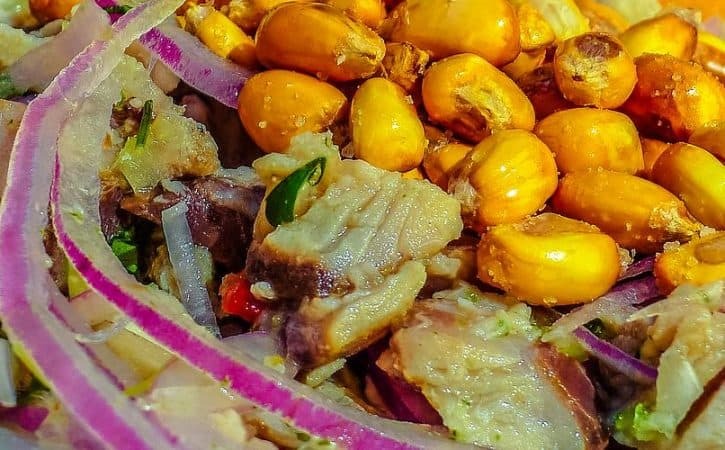 Ceviche, pisco sour, huancaina, chicha, choclo, choco are all Peruvian dishes, but do we find the Peruvian cuisine is on of the world’s best foods? 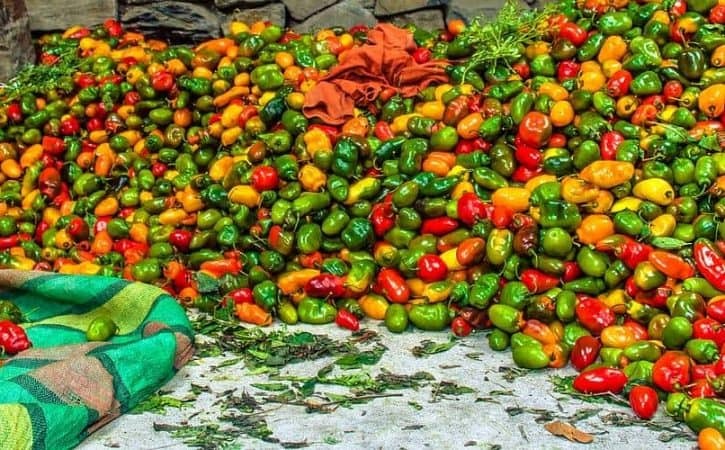 Where to find organic markets in Peru, as well as natural health food stores.